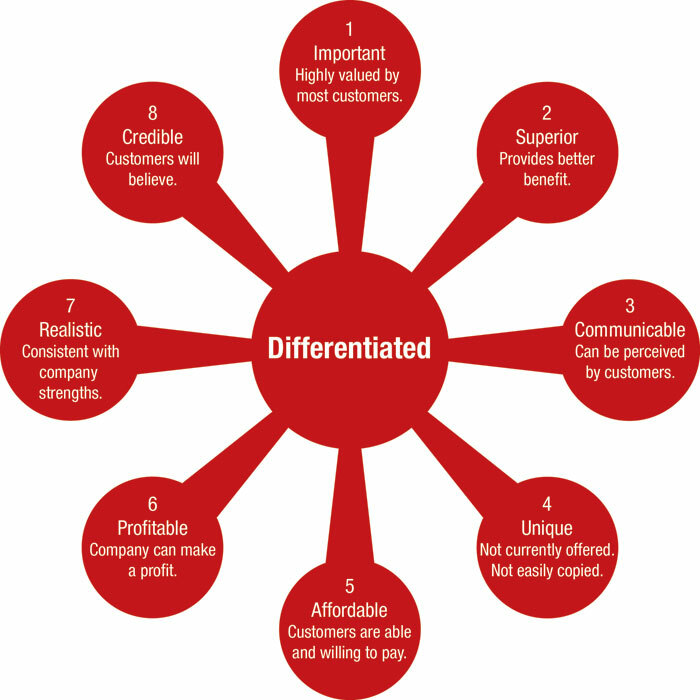 Differentiation, let’s make no mistake here, is the core of strategy. No bright new idea substitutes for differentiation, and Brand Value cannot be built without solid differentiation. Let me share my favorite “strategy vs. good-idea” story that continues, in some cases, today to be the source of lackluster corporate performance. Let’s look at the recent history of manufacturing quality that you may be familiar with from your own business that no doubt practices some of these approaches (otherwise you probably would not be in business today). Demming famously determined the root causes of American bombers crashing over Germany during WWII. How do you determine the causes (beyond the simple explanation of the effectiveness of excellent German fighters and anti-aircraft bullets) for the crash of a bomber now reduced to a crumpled heap of aluminum resting in a (at the time, slightly) difficult to reach enemy cornfield? To a statistician like Demming this was (in hindsight) remarkably easy. He simply spatially mapped bullet holes in safely-returning bombers, creating normal-distributional mapped zones to rule out areas of weakness. The remaining “non-bullet-hole” areas were deemed by him to be potential areas of weakness. Using “reverse” statistical methods he could even predict with increasing probablity the exact “non-bullet-hole” areas most likely to be weak. The power of new statistical quality assurance methods was being clearly proven. Demming did not find the warmest welcome in euphoric and “apparently” indomitable and infallible American corporations (who, despite being infallible, remarkably failed to learn from some of their greatest individual contributors and even more remarkably failed to learn that they had indeed failed to learn or even, for decades, what they had failed to learn). Demming, after WWII, spent time developing many of these concepts in the “re-born” Japanese manufacturing sector who in contrast to American firms (who by this time clearly knew everything worth knowing) welcomed any help they could get. This evolved into what was referred to as Total Quality Management (TQM) that was a systematic adaptation of quality methods across an entire company – not just manufacturing. Then came Taguchi-san who developed concepts of Design of Experiments (DOE) that purposefully introduced variation into manufacturing processes and used statistical analysis to analyze the effects of this introduced variability in order to rigorously uncover previously unknown causes of production variation. Taguchi was later involved in the roots of what later became known as Design for Manufacturing (DFM) – essentially designing products that are “inherently immune” to certain known and common sources of variability in the manufacturing process. Finally relentless focus of American corporate energy on quality was fast becoming a cult. Many new terms emerged (with smaller ideas behind them) including “Cpk” (a statistical reference) and “Zero Defects” (per million articles produced). In the mid-1980′s TQM finally gave way to Six Sigma, pioneered by Motorola under the superb leadership of then Chairman Bob Galvin. Galvin felt that Motorola needed “cultural change” relative to focus on quality and wanted to have a system that provided granular detail across most corporate functions and processes with a focus on Continuous Improvement (CI). Six Sigma became widely popular, with Larry Bossidy of Allied Signal and Jack Welch of GE jumping on board. Welch even purportedly once challenged Bossidy, over a game of golf, about which company could most rapidly and effectively implement Six Sigma. Many of these concepts have become so ingrained in manufacturing and corporations in general that the excited talk about them, and indeed many of the fancy names and acronyms, have to some extent disappeared. Just In time (JIT) manufacturing was another cult that emerged some few decades ago (from Japan) that was heavily focused on inventory reduction in efforts to improve cash management. It was quite humorous to me on one of my frequent visits to Japan to pull into a rest stop for a coffee and to suddenly notice the large number of delivery trucks parked with sleeping drivers behind the wheel. In fact, JIT, during its early days of implementation had simply displaced ownership of (and thus payment for) urgently needed inventory to the producers who were storing it in trucks parked in rest stops within a one-hour delivery radius of factories, accompanied (of course and quite efficiently) by well-paid and very professional drivers sleeping for hours behind the wheel! The Toyota Production System (TPS) soon followed, along with the more Westernized version called LEAN, focused on waste reduction across corporate processes. Indeed many companies today have well paid, highly trained specialist leaders of the LEAN cult tasked with recruiting new members from various departments and ensuring these new members faithfully practice LEAN techniques and recruit new members. Of course not! They promote tremendous efficiency and improved quality that all consumers, businesses, organizations and governments benefit from. Then with this dramatically increased efficiency and improved quality must surely come remarkable competitive advantage, right? LEAN and other waste reduction/quality improvement approaches are so easy to duplicate that esteemed CEO’s will bet one another on golf courses about who can implement them most rapidly! There is body of LEAN knowledge presently on the web that must rival the sum total of all data available on Yahoo’s original search engine! LEAN (while being, when well executed, extremely sophisticated) is remarkably easy to duplicate with a bit of investment and patience. There are literally battalions of consultants who will visit your company, teach your cult leaders the basics, get you started, help you manage implementation and even ongoing execution. But as in any teaching consulting exercise, great learning also accrues to the teacher consultant. Where do you think these consultants are when they are not sitting in your offices earning twice the pay of your regular people? They are of course (at least collectively, as an industry that shares best practices) sitting in the training rooms of your competitor around the corner teaching them what they already knew and what they have just recently learned from their efforts with you and your people. None of these truly brilliant, carefully studied and relentlessly developed ideas are strategy. Building Brand Value starts on a foundation of differentiation. Good ideas are rarely good strategy. 6 Responses to Did LEAN Kill Strategy? I literally knew about a majority of this, but however, I still assumed it turned out practical. Good task! I want to say thanks so much for the job you have made in writing this posting. I am hoping the same perfect job by you in the future too. Fine information and facts! I have been seeking for things like this for a time now. Many thanks! I would like to say thank you very much for that work you have made in writing this blog post. I am hoping the same most reliable job from you in the future as well.